This lens gives your OpenMV Cam the ability to see longer distances (e.g. zoom in). The standard lens that ships with your OpenMV Cam has a 115° field-of-view (FOV) which allows your OpenMV Cam to see more things, but, with less detail. 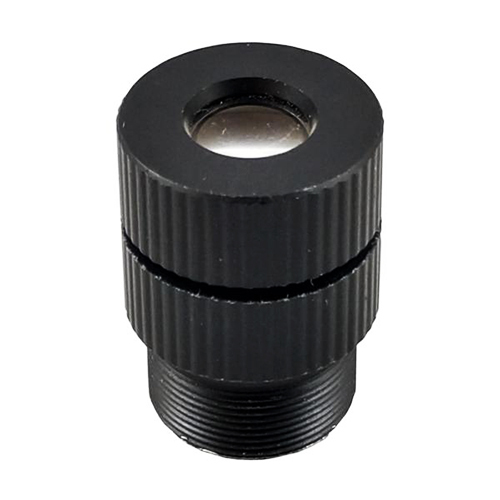 This lens has a 12° FOV so it provides your OpenMV Cam with about a 8X zoom on any particular object. The Super Telephoto Lens is great for any application where you need your OpenMV Cam to really zoom in on some subject. For example, the super telephoto lens makes it easy to do eye-tracking with IR light by zooming in on someone's eye making it easier to determine the direction their pupil is pointing. OpenMV LCD TFT Shield 1.8" 128X160 The LCD Shield gives your OpenMV Cam the ability to display what it sees on-the-go while not connected to your computer. 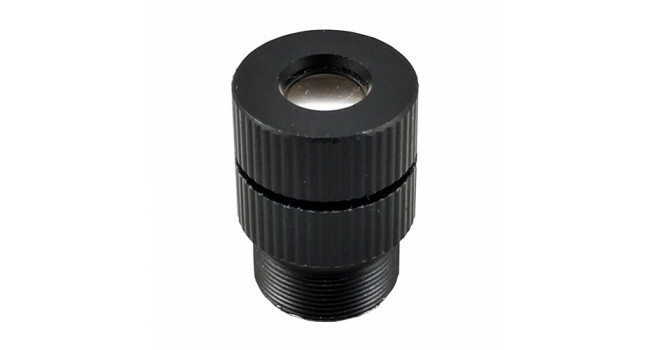 It features a 1.8" 128x160 16-bpp (RGB565) ..
OpenMV Ultra-wide Angle Lens This lens gives your OpenMV Cam the ability to see a wider field-of-view (FOV). The standard lens that ships with your OpenMV Cam has a 115° FOV which is good, but, not g..
OpenMV WiFi Shield The WiFi Shield gives your OpenMV Cam the ability to connect to the internet. 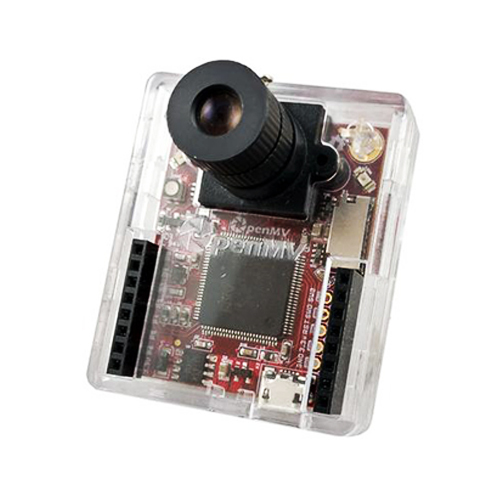 It features an ATWINC1500 FCC Certified WiFi module which can transmit data at up to 48 Mbps making it..
OpenMV IR Lens This lens gives your OpenMV Camera the ability to see IR light. The standard lens that ships with your OpenMV Cam has a 650nm IR cut filter that blocks IR light. This lens does not so ..
OpenMV Proto Shield The Proto Shield gives you the ability to easily extend your OpenMV Cam's functionality. It features a 10x10 through-hole prototyping area with a 3.3V rail and a GND rail that are..